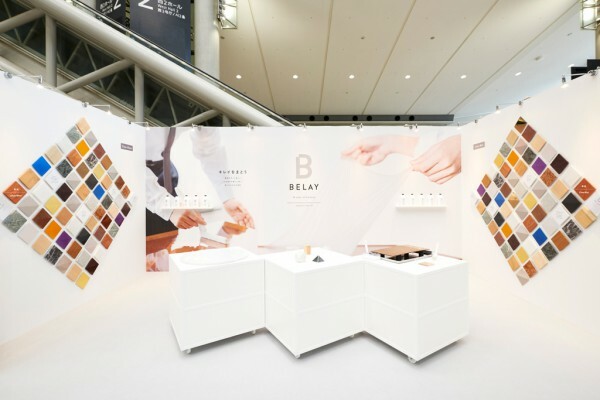 We designed the exhibition booth of paint manufacturer Washin Chemical Industry's new paint, BELAY, for the interiorlifestyle living design fair held at Tokyo Big Sight. 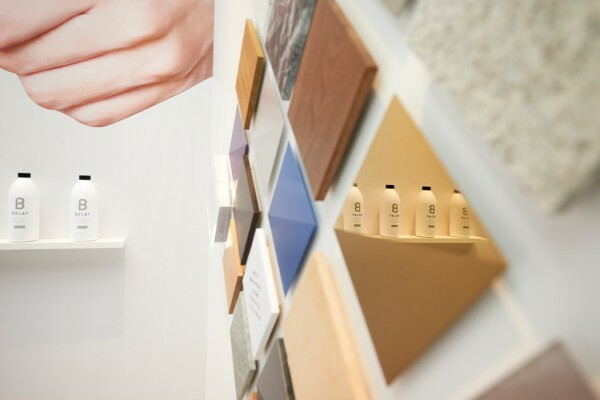 The product can be easily applied over interior and furniture surfaces to protect them from dust and scratching, and can be peeled off with equal ease. Deliverables included a space showcasing these characteristics. 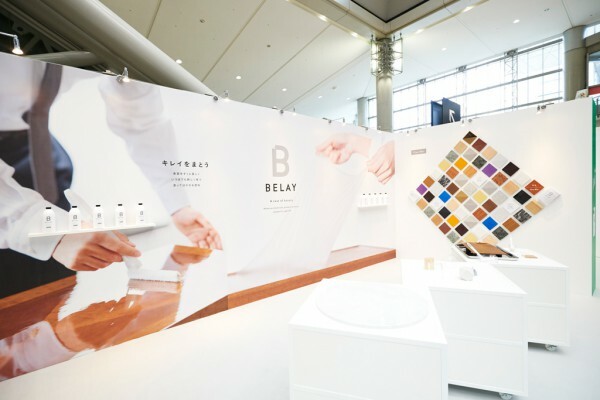 A large graphic facing the front of the white-based space is used to illustrate the product's properties as a peelable paint. 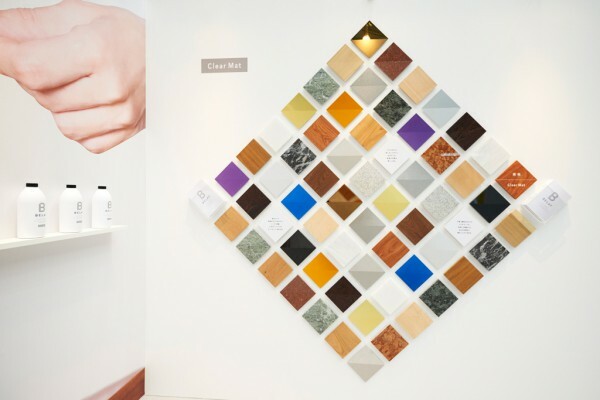 The left and right walls act as a gallery of sample materials, including wood, stone and metal, painted with two types of BELAY finish: Clear Gloss and Clear Mat, which remain clear and do not alter the color of the substrate. Finally, the tables in the center of the space are used to demonstrate the application of the paint. 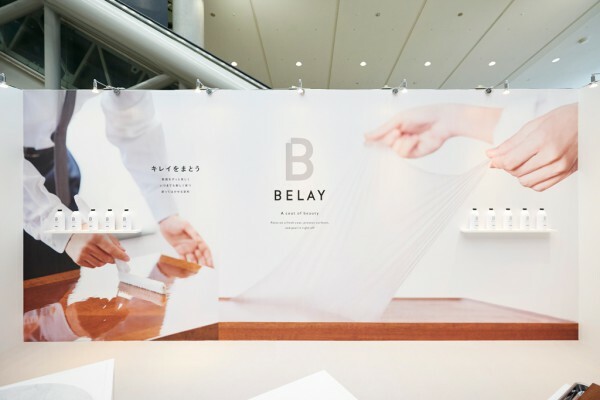 We envisioned an exhibition space where one can perceive the new possibilities of paint by experiencing BELAY as a peelable, easy-to-use protective film.